Mary Lou Kelso, 72, of Olathe, passed away on November 18, 2018. She was born on July 19, 1946 to Hershel and Mae Maxine Lee in the Potawatomie Reservation near Topeka, KS. Mary Lou enjoyed spending time with family, traveling, helping others, and reading. She is survived by her loving husband, Jimmie J. Kelso, of 51 years; son, Jerrèll J. Kelso, and daughter, Jada J. Hayes. The family will receive guests for a visitation from 1:00-2:00pm on Saturday, November 24, 2018, at Penwell-Gabel's Olathe Chapel, followed by the funeral service at 2:00pm. Burial will be in Oak Lawn Memorial Gardens in Olathe, KS. Memorial contributions may be given to Second Baptist Church, 2328 Ruby Ave, Kansas City, KS 66106. To leave a special message for her family or to share a memory of Mary Lou, click on the "Share Memories" tab above or scroll down below. Add your memories to the guest book of Mary Lou Kelso. Aunt Mary Lou was absolutely one of the most loving people I've ever met along this walk of life. She was very quiet but it made her words mean that much more to my wife and I whenever she spoke, especially when we would get her into a conversation about something she enjoyed. She loved my uncle Jimmy Joe with all of her heart and their relationship and longevity is one we strive to copy. We love you. We will miss you dearly, and I will always cherish the memories of the annual Kelso family visits to Fulton, KY. We celebrate you being at peace and pray we continue to make you proud here on Earth. Send my love to Nana and Granddaddy. To the Family of Mary Lou Kelso. I have only fond memories of Mary Lou. 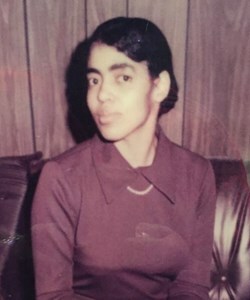 She was truly loved and especially loved by my grandmother Josephine Elliott "her Aunt Jo." My condolences goes out to Jimmy and her children. Mary Lou was an intricate part of my grandmother's life for many years prior to my grandmother's passing. Mary Lou represented and carried out the true meaning of family.